Done Right Automotive is a state-of-the-art facility with all of the latest diagnostic and service equipment. We offer our customers highly recognized, top quality products and services. Done Right Automotive features a complete tire, service, and repair operation. We have all of the latest diagnostic and service equipment and can handle all makes and models, foreign and domestic, including all major and minor repairs. There are dozens of electrical components needed to route power in your vehicle’s electrical system and these can vary greatly according to vehicle make, model and age. Your electrical system includes your vehicle’s battery, alternator and starter. Many new vehicles also feature sophisticated computer systems that affect functions like steering, brakes, sensors, and more. 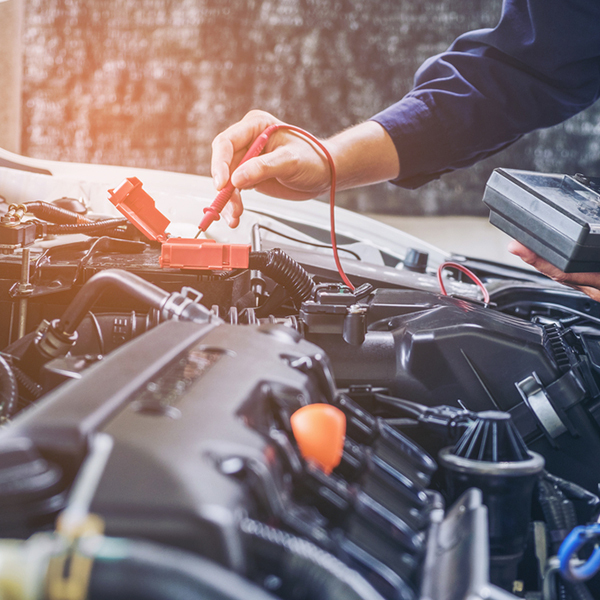 All of these electrical components make it difficult to diagnose the cause of vehicle electrical problems, but most begin and end with your battery. If something goes wrong with your vehicle’s engine, it’s best to get it checked out right away with Done Right’s car tune up service. Minor engine problems that go unattended can result in more costly repairs down the road. The term “engine tune up” is derived from the practice of tuning an engine’s ignition timing. The term, however, has survived to refer to a single preventative maintenance service that covers multiple checks to your engine’s components. Replacement of the fuel filter Replacement of all spark plugs and wires (this may involve removing a manifold on certain engines, especially those with a V cylinder configuration) Replacement of various other ignition components, such as the distributor cap and rotor Adjustment of the distributor cap angle on vehicles without electronic, or ‘distributorless’, secondary ignition usually with the aid of a timing light Inspection of serpentine belts and replacement as needed Replacement of the air filter Adjustment of the clutch on vehicles equipped with a manual transmission Battery service as needed, including cleaning any corrosion on the terminals Replacement of the PCV valve. The services provided will vary depending on the severity of the problem, but a typical clutch service may include: Replacing the pressure plate Replacing the clutch disk Replacing the throwout bearing Resurfacing or replacing the fly wheel Replacing any worn out hydraulic parts. Done Right has auto diagnostic service technology to sniff out issues. Modern day vehicles are run by computers which control just about everything your vehicle does. How it drives, accelerates, starts, brakes, delivers fuel to the engine, etc. This makes modern day vehicles much more economical and responsive. This is accomplished by using a multitude of electronic sensors located throughout the engine. When all of these sensors are working, the vehicle will perform at its optimum level. When there is a problem, these sensors will send information about the issue to your vehicle’s onboard computer. This information from our car diagnostic service allows our technicians to identify the problems.